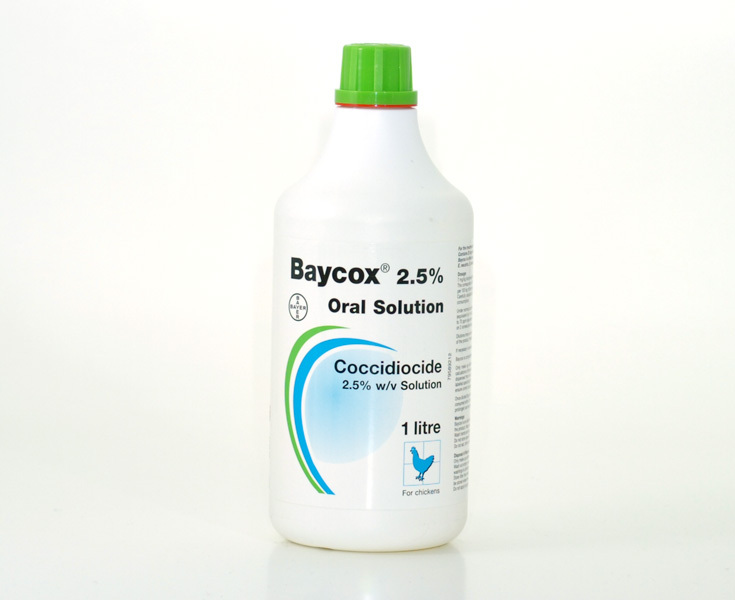 Baycox is a very wide-spectrum anticoccidic product, active against all coccidia that parasites in domestic birds. 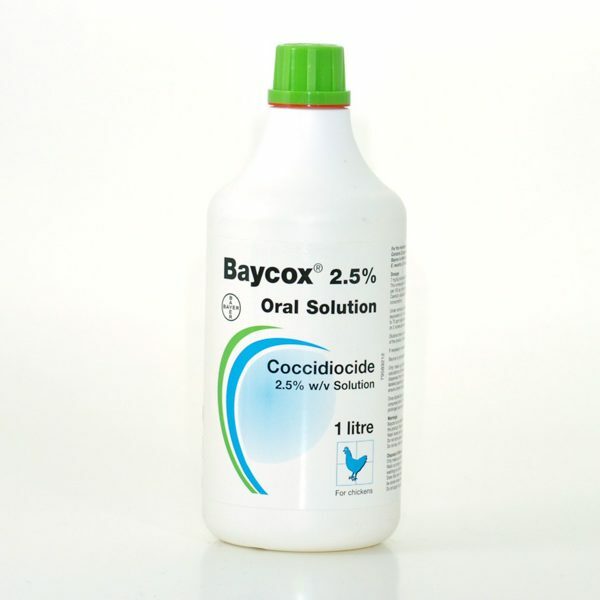 It is active against all coccidia that parasites in chickens, turkeys, geese, ducks and other birds. It acts on all intracellular stages of development of the parasite, on micro- and macrogamytes schizons. 2. 3 ml / 1 liter of drinking water for 8 hours a day, 2 consecutive days. Do not administer to laying hens. Clear, slightly yellowish-white solution in 1000ml white-opaque plastic bottles. Store in the original package in a dry place, away from light. Keep out of reach of children and animals. Storage temperature from 5ºC to 25ºC. 5 years from the date of production indicated on the packaging. Valable 12 weeks from opening.